There are a number of different ways in which you can own a racehorse. Here at Mick Easterby Racing we have experience of ownership in all of the following forms. Below are the main types of ownership which might help you decide if you are thinking about becoming a racehorse owner with us. 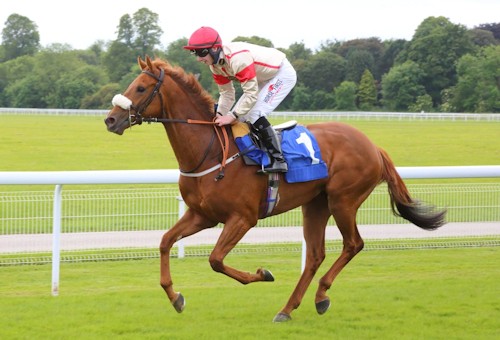 As a sole owner you will be the legal owner of the horse as registered with Weatherbys. All prizemoney will be yours as the owner along with any profit if the horse is sold. You will make decisions about where and when your horse runs. A horse in joint ownership can be owned by between two and 12 people. All of the owners must be registered owners with Weatherby's. You must also register the percentage share owned by each individual. A Partnership involves between two and 20 people. Only two of the partners need to be registered as owners with Weatherby's. This is a good way to share the costs of racehorse ownership whilst enjoying the benefits. Many companies own racehorses. There are two major advantages. Firstly the horse can be named after the company as a way of promoting the business. Secondly, companies can use their race day badges as a way of entertaining clients. Leases can come in many forms. A horse can be leased for a fixed time period or even a short period such as only one race. All costs are paid by the lessee for the lease period, and the horse will run in the lessee's colours and under their name. All prizemoney goes to the lessee but at the end of the period the horse will revert to the ownership of the lessor. A racing syndicate involves a number of people who share the training costs of the horse over a period of time. This could include one horse or several horses and can be set up by an individual, or we can set up a syndicate here at the yard. At Mick Easterby Racing we have plenty of experience in running syndicates. Please contact us if you have a group of people who would like to set up a Racing Syndicate at the yard. Once you own a racehorse you will need to consider the types of races in which your horse will run. We provide a basic guide here.